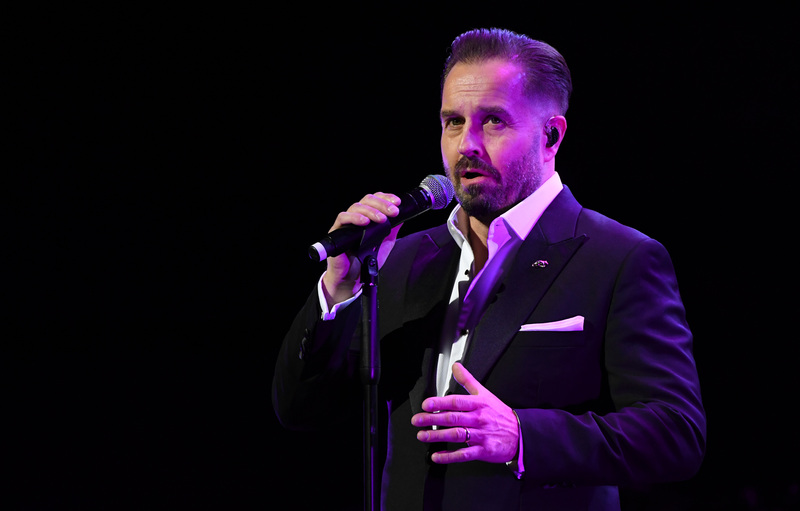 ALFIE BOE’S stellar career has encompassed Broadway, opera, West End musicals, duets albums with Michael Ball, and working with The Who’s Pete Townsend. He plays Glasgow’s Royal Concert Hall on March 22, and Edinburgh’s Usher Hall on the 28th. His new album, As Time Goes By, is a collection of crooner ballads. Was Sinatra the best crooner of all? He was great, of course, but he was influenced by other singers and what was happening around him. So don’t discount Dean Martin, Sammy Davis Jnr, Matt Monro, and others. What was it like to record at Sinatra’s studios in LA? A real treat. I even got to use his microphone on this album, and there was a huge sense of history all around me. Does that make the album sound better? Hand on heart? No. People don’t listen to the building, do they? They listen to the music. It would have sounded just as good if I’d recorded at Abbey Road, or even in my garage. It’s the performance and musicians that count. Kelsey Grammer (Frasier) sings on one track. Why? Because he’s a very talented singer. Superb, in fact. He had very little time to prepare the song so he almost did it off the top of his head. Have you let your family hear the album? No. I’ve kept it close to my chest. They’re very supportive and when they do listen I’ll be more nervous than I would be when playing it to a professional. What’s your attitude to critics? I’ve watched the American President argue and fight with journalists, and I think it’s wrong. They shouldn’t be the enemy. They’re entitled to their opinions, and even a negative review can lead people to listening for themselves. What will we hear on the tour? This new album, plus some songs that didn’t make the cut. I’m going to try to recreate a New Orleans Speakeasy, and it will be fiery and romantic. I’ll have a 10-piece band at least. I read your autobiography. You seem angry. Why? I so wish I could rewrite that. I was aiming for frustrated rather than angry. Back then I was fighting the establishment who called me The Bad Boy Of Opera. That’s changed now, and they’re more accepting of other styles and opinions. What pleases you most in your career? Helping to make those changes happen, and people saying “You’ve opened our eyes and ears to different styles of music.” That’s great to hear. I’d see the family, of course, and I’d try to avoid wasting the day stuck on public transport. Also, after this chat, I think I should spend the rest of the time rewriting my autobiography so I die less angry (laughs).